Pacific Ocean Telecom completed its Pacific Ocean Telecom (Chongqing) Data Center in March, and the initiative is Chongqing's first cloud computing data center project, and is located in the Liangjiang International Cloud Computing Industrial Park, in the Liangjiang New Area of the city. It is the company's fourth data center in China, after it established centers in Hong Kong, Shenzhen in Guangdong province, and Tianjin. 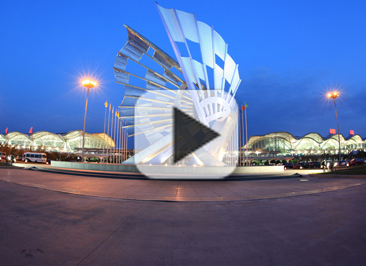 The construction started in May 2011, and it consists of two parts, with each one covering an area of 20,000 square meters. It was built according to international environmental standards and energy performance standards, uses energy-saving technology, and other advanced technology in refrigerating system and modular design. Pacific Ocean Telecom is a private enterprise that owns the largest submarine cable network in Asia, and this project means that Chongqing will be part of the company's network. 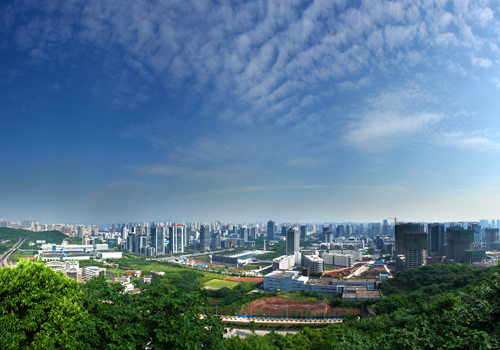 Chongqing unveiled its development strategy concerning the international off-shore cloud computing industry at the end of 2010, and established a "cloud computing plan" to boost its competitiveness. The construction of the cloud computing data and its supplementary industrial base was a key part of the plan. Henry Lam, GM of Pacific Ocean Telecom, said that Liangjiang New Area is currently the most popular economic area in China, and it is set to become an important hub of the Chinese mainland in the advanced manufacturing industry, and also in logistics and transportation. He added that the world-class data center will greatly support the industrial and economic growth of China's southwest region.